This post is sponsored by Procter & Gamble and The Home Depot. Every year about this time I get a bee in my bonnet and come up with grand plans to make my summer porch A.MA.ZING. And then I realize that my grand plans are not within my budget. So I need to come up with more moderate plans. Ha! Because, truth be told, I love the bench that is already on my porch. My dad made it for me when I was a girl, and a couple of years ago, I spruced it up with a bit of aqua paint. The thing is, after a piece of furniture sits outside for a while, it starts to get grimy. So when Procter & Gamble asked me to try out their new Mr. Clean Outdoor Pro products, I knew exactly what I wanted to do with them. Here's the thing...I LOVE Mr. Clean Magic Erasers. I swear by them. I first discovered how great they were about a decade ago when Boy One drew crayon art all down my Mother-In-Law's hallway. I took a Mr. Clean Magic Eraser to that crayon, and it disappeared like it had never been there. I'm a bit of a clean freak, so when I find a product I love, I'm loyal to it. And I have used magic erasers ever since. I actually used them to clean up my porch furniture last year, but when I found out that these were new outdoor-strength magic erasers, I had to see them for myself. 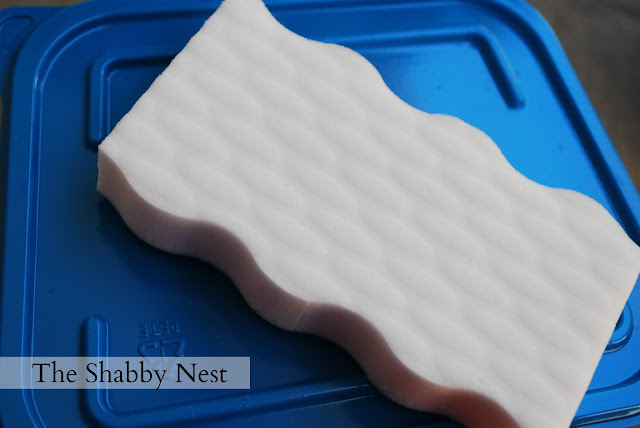 They work just as well as the original version, but they don't disintegrate as quickly. Which is great because I felt like I could clean more with them. 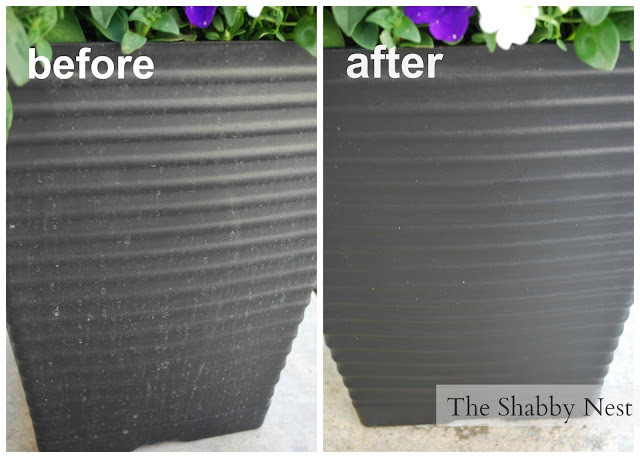 Of course, magic erasers don't work on everything, so I tried out the spray cleaner on my flower pot and it worked just as well. You may remember this cute Tolix-style chair. I was feeling so productive that I used the Mr. Clean Outdoor Pro Magic Eraser to clean up it and three of its friends, so they could come in the house. They look great! After my little cleaning frenzy, I got to work putting together the porch. It isn't much, but it looks pretty. The bench looks almost as good as new...the pretty pillows liven it up. I added a cute black lantern for personality and my pretty flower pot to finish the scene. It's so bright and cheerful it shouts "SUMMER"! 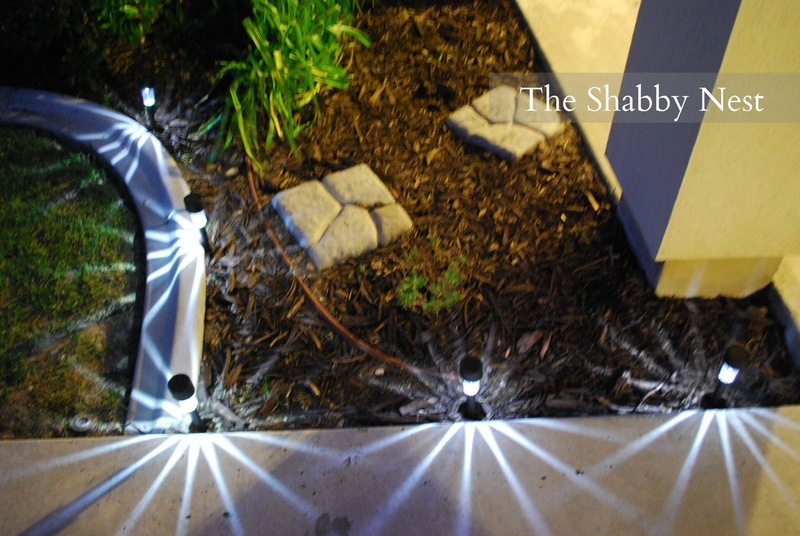 And because I was enjoying myself so much, I grabbed a few LED path lights and added them to the planter bed right by the front door. I love the "starburst" pattern they create at night. It seems so festive to me! Over all, I would say my porch clean-up was a success! If you are in need of some outdoor cleaning supplies to spruce up your house...you're in luck. 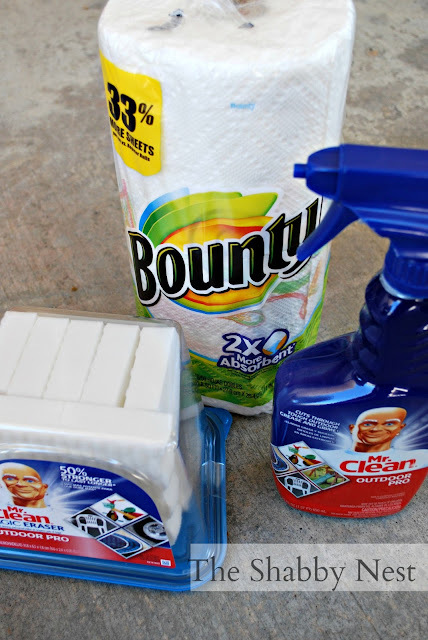 The good people of Procter & Gamble have provided the same great cleaning supplies for me to give away to one lucky reader of The Shabby Nest along with a $50 Home Depot gift card to pick up any other necessities you may need! All you have to do to enter is leave a comment on this post. This giveaway will be open until Monday, June 10 at 11:59 PM. Good Luck!! This post was sponsored by Procter & Gamble but all opinions expressed are 100% my own! looks great! i love the bench color! the porch looks awesome! i love the color on the bench- it's so you! What a wonderful bench your dad created for you! I definitely need to clean my screened porch. Love the bench! Your porch looks fresh and summer inspired--thanks for sharing. I love Magic Erasers but haven't tried the outdoor ones. Thanks for the chance to win all this great stuff! Love the bench! Great giveaway! Love the bench! 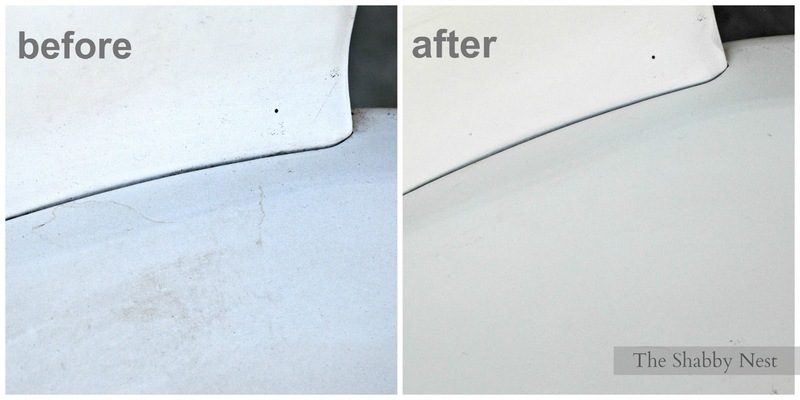 I'm also a fan of the magic eraser - they can work miracles! Your porch looks really nice. I'm a big fan of the Magic Eraser. Gotta love the magic eraser. Your porch looks great. Your porch looks great! I love the bench!! Looks fantastic - I love your little bench and I really love those starburst lights! I could really use some of these products. Hopefully it would get my tush in gear finally cleaning our amazing gazebo and making some use out of it. Cleaned my front porch, and my hubby is working on the deck. But the screen porch needs help! I'd love to win & make my porch as clean as yours! Love your sweet porch and the lights:) my porch could use a good scrubbing! Hope I'm lucky. Love the bench and the flowers!!! I've been using Magic erasers for years, too and am happy to see they have some that will last longer!!! Looks great! Love your bench. Those erasers have saved my bacon more than once around here! Your porch looks just darling. I love the story that your bench has. Everything needs a loving story! I also love Magic Erasers! I will have to try the outdoor ones on my deck furniture. were re doing some rooms in a our house, i love reading posts with new ideas for us! This is inspiring. I've been avoiding getting up close and personal with several of my outdoor pieces. I'd love some of the new Mr. Clean Outdoor products. It looks wonderful! Can't wait to do my porch but we are having beams replaced out there so I have to wait until they are done working... Love the bench. I love those erasers! I have been using them this weekend to clean a dresser I got on Craigslist. Looks so much better now, I can postpone painting for a while.Now off to scrub away on my front porch. 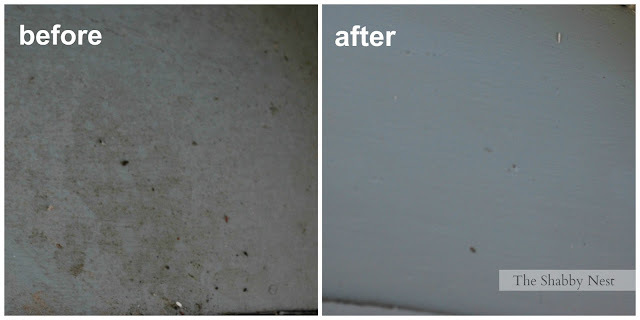 Love magic erasers - thanks for the great giveaway - your porch looks great. I love the way your front porch looks...will you share the paint color you used on your bench? It is a very pretty shade of blue....I have not used magic erasers before but will now have to try them...thanks for the chance to win. Planning on laying bricks to make a squared off little patio of my very small narrow front porch, Mr. Clean erasers would be great to clean up the outdoor furniture that sits on the bigger back porch (who wants to sit in back & look at a fence?) I love Mr. Clean & didn't know about the new outdoor ones. Thanks for the heads up! Thanks for the giveaway! Love the lights! I've been using magic erasers for years too - thanks for the great giveaway - your porch & outside lights -looks great. Thanks! The floor of my porch could use a good cleaning! Thanks for the fun & useful giveaway! Love the bench. Thanks for the giveaway. 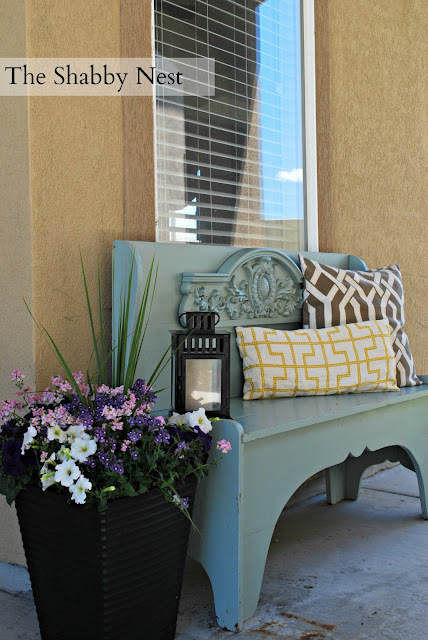 Love your porch & bench! How special that your Dad made it for you! Thank you for a chance to win! My porch needs some sprucing up. I am inspired now. Thanks for the giveaway! i'm going to have to try these magic erasers - i keep hearing such great things!!! Maybe some new cleaning products would inspire me to clean!!!!! Thanks for the giveaway. 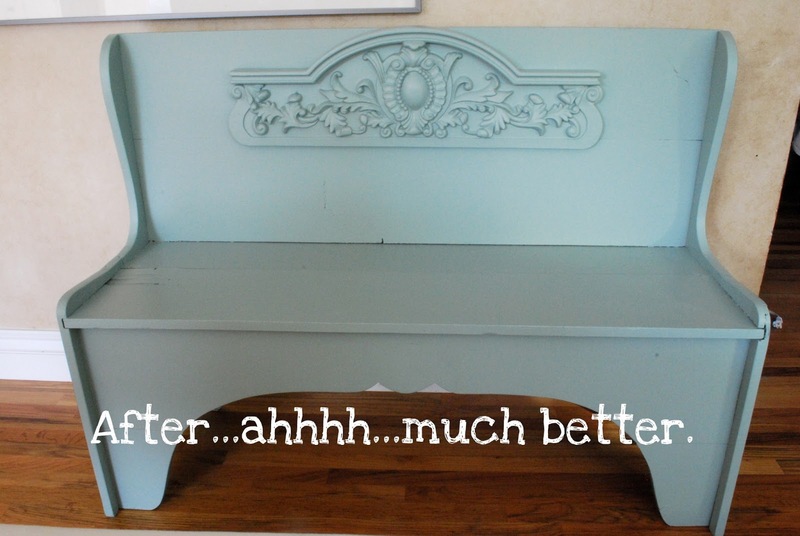 Love your bench and especially LOVE Magic Erasers! A friend told me about them years ago and now I keep a good supply on hand! So pretty! I love the bench especially! And I would Love to win the give away too! What an inspiration you are!! 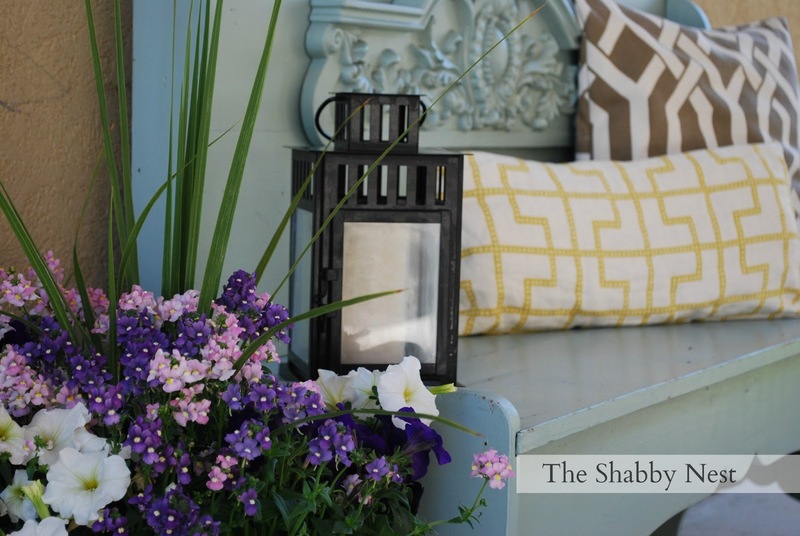 All those things look great and your summer porch....smashing! Magic eraser saved the day when the grandson got hold of a permanent marker and colored the kitchen. Love your porch! Love the front porch look! Also love the Magic Erasers. I love the magic eraser and I will double love a stronger one that I can use on my porches. This is very good news! I'm inspired to do a little cleaning myself! That bench is awesome. I too love the magic eraser. Now if it only came with someone to use it instead of me I would be even happier. What a cute Summer porch. I want a Summer porch also!! I love your summer porch, especially the bench. What a treasure having been made by your father. Looks great! We are in the middle of a small front porch overhaul. I'm afraid it will take all summer! I've read several comments about the mr. clean outdoor cleaning products. can't wait to try them out! Your porch looks great! I love the colors of the flowers! Wow a magic eraser that doesn't disinegrate is what I need! I go thru those things like crazy! Where have I been? Never thought of using the magic erasers outside! I,too, love those magic eraser bars! I'm a fan of them and your porch! Love the porch! I keep thinking I need to do something with mine...it looks SAD! Who doesn't need a little outdoor clean up? I know I sure do! I love your porch! Great giveaway! Would love to try these products on my outdoor furniture. Sensational!! I love your porch. Would love to win. I love the bench. The colors are so great together! Your front porch looks great! I especially love your bench, and what a wonderful thing to have from a dear family member as a remembrance. I have to be frank - I've been skeptical about those Magic Erasers, wondering how on earth they could possibly work, but you've convinced me to try them out. I've got really grungy dark green plastic chairs on my deck and they need to be seriously cleaned up because I want to paint them. I've scrubbed them down with soapy water, bleach in water, took the hose to them full force and a big fat cloth to scrub them down, and they still look the same - dirty! Got to run to the Pick 'n Save right now so I'm going to buy the Magic Sponge and see how it/they work. Your planter looks great! I would love to have pillows on my porch bench but they would blow away. Looks wonderful. I need to spruce up mine too. oh man, I am on the West coast. It's before midnight here, but looks like I am too late to enter. Boo!